James Remar | The Reviewers Unite! When I decided to start recapping this series, there were a few episodes that I knew were going to be VERY interesting to talk about as the show really did go into some strange territory and had some surprisingly big stars who were very taking these roles very early in their careers. This episode right here? This might just be the crown jewel of the series, at least from the episodes I can recall. This has Katherine Heigl (yes, THAT Katherine Heigl) going back in time to kill Baby Hitler. Yeah. Can this episode manage to be even HALF as interesting as that premise promises? Let’s find out!! The episode begins IN THE FUTURE where Special Agent Katherine Heigl is, for some reason, the ONLY person they can send back in time (something to do with genetics) and has just finished making peace with her family as we’re going by Terminator rules here which means she can only go BACK in time, but not forward… unless anyone besides me saw Terminator Genisys in which they mess with that rule, but I’m still willing to pretend that movie doesn’t exist if everyone else is. This entry was posted in Super Recaps and tagged Forest Whitaker, James Remar, Jean de Segonzac, Jillian Fargey, Katherine Heigl, Nancy Sivak, Rod Serling, The Twilight Zone, TV Review, Warner Bros on August 4, 2016 by Matt Vetrano. You know, considering how big of a child star Danielle Radcliffe was, he’s doing pretty well for himself. He tends not to take big budget fare and instead prefers to hang around in the indie scene while he polishes his chops. Sure, he was in The Woman in Black, but it’s hardly one of those soulless studio hack horror films that OTHER cast members found themselves in (*cough*The Apparition*cough*). 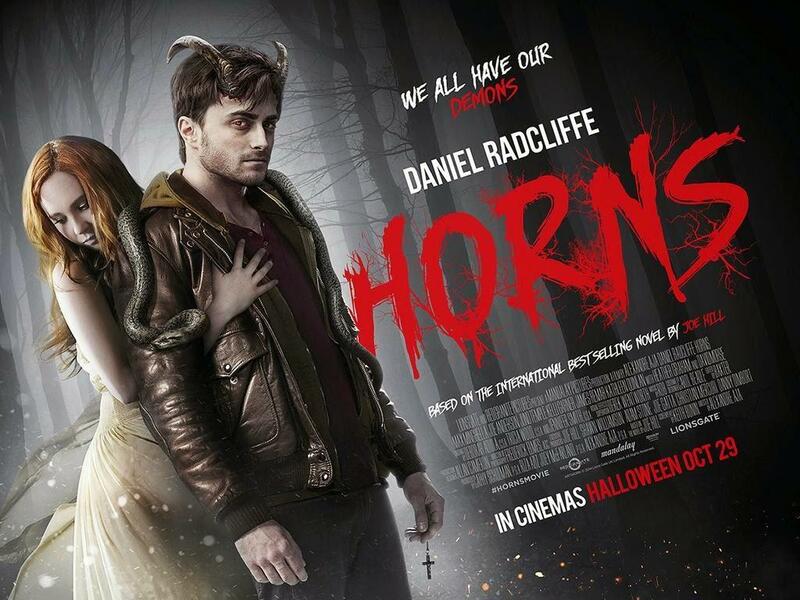 With all that said, let’s look at this dark fairy tale from 2013 called Horns. Is it another example of Daniel Radcliffe building his artist credibility, or is it a misstep in the young actor’s post Harry Potter career? Let’s find out!! This entry was posted in Living on Netflix and tagged Alexandre Aja, Daniel Radcliffe, David Morse, Fantasy, Heather Graham, Horns, Horror, Independent, James Remar, Joe Anderson, Joe Hill, Juno Temple, Kathleen Quinlan, Keith Bunin, Max Minghella, Michael Adamthwaite on March 17, 2015 by Matt Vetrano.